It is that time of the year when we have to remind PC users about their online security. Christmas brings with it a lot of events like getting together with family, buying gifts for them, deciding what goes into the Christmas dinner menu, and if you a parent – getting dressed up as Santa to deliver gifts to your children. Phew, that a lot to handle! And also means ordering a lot of things online! Now given the hectic schedule, it’s quite easy for PC users like you to forget the best practices to be followed while shopping online, and thereby fall victims to various security threats of today. In fact, hackers love Christmas time – just as we do! – and unleash various security attacks to profit from all the shopping which goes on during this season. (Remember Target Security Breach which took place during the Christmas Shopping season?). Therefore, as Christmas arrives, here are some security tips for the weary Christmas Shopper, so that he or she can exercise caution, and stay away from security threats and have a real blast of a Christmas this year! 1. Install Antivirus For Virus Protection: The basic form of security PC users can give to their PC(s). Though usually considered as the last line of defense, antivirus packages are something PC users simply cannot do without. This is the reason why every internet security package (which is an advanced version of antivirus) contains antivirus software as well. Moreover, most of the antivirus packages are available for free (including our Comodo Free Antivirus) now. So really there’s no reason why you shouldn’t be installing one! 2. Use Other Security Tools For Added Security: Antivirus software alone is not going to be sufficient enough to combat the ever-evolving modern-day malware. 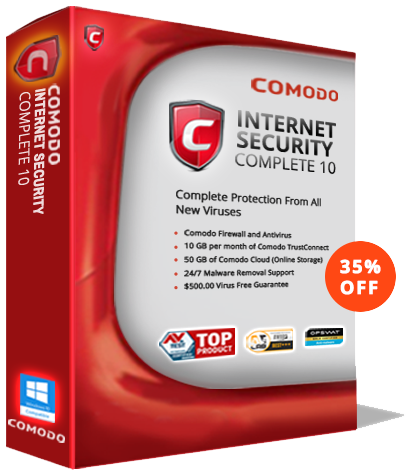 For this, PC users need the whole package – the paid antivirus, which in our case, is known as the Comodo Internet Security. Because only such software, come equipped with Containment, HIPS and other such technology, that can combat the zero-day malware effectively. 3. Be The Prudent Internet User – Act Wisely: Christmas is a time when a lot of phishing mails fly around. Trying to attract malicious clicks. Beware of this and never click on the links contained within such suspicious mails as doing so can directly infect your PC(s) within a matter of minutes. This not only applies to mails (or the attachments that come with them) but to your general surfing habits as well. We would like to repeat: never click on anything (be it a website or mail) which appears suspicious. 4. Never Reveal More Than What Is Needed: We understand it’s tough to resist the urge of talking about what you did this Christmas online, but it’s always wise to save such details only for friends and relatives. Because for every such unnecessary detail that you may leave online, remember that the hacking community gets an inch closer to hacking your PC. 5. Use Secure Payment Options: And lastly, use secure payment options like PayPal, Amazon Payments, PayU, BitPay, Braintree etc, in order to secure your payments during online shopping. This will undoubtedly increase your online payment security. Following these security measures should ensure your Christmas turns out pretty well without you falling victims to various security threats that are sweeping the online world. And who knows, if you’ve behaved well this year, Mr. Santa himself may well shimmy down the chimney and surprise you with some gifts :). Merry Christmas and Happy Holidays From Comodo!